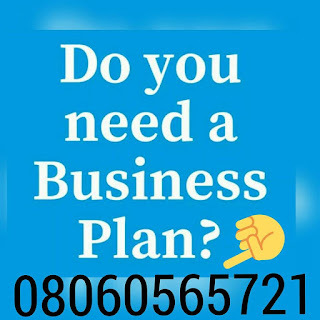 Business Plan Nigeria >> Business Ideas >> How To Start a Hair Salon Business in Nigeria. There is one thing certain in this life, everyone wants to look good. When people look in the mirror, it is because they want to check out how they look and of course, they’d want the image in the mirror to be attractive. Women are ready to go the extra miles just to look attractive in the eyes of men and even to compete with their fellow women and make them envious. The hair is one of the major parts of the body that can either bring out ones beauty or hide it; hence a lot of women are very particular about what hairstyle they make and how well it is made. This is where the hair salon business comes in. When you want to list out businesses that yield instant revenue on a daily basis, you’d have to mention hairdressing salon business. This business sees customers trooping in morning, afternoon and even night depending on how good the hairdresser is. Hair salon is quite easy to start but it’s very vital that you make some research just to help you in making sure the hair salon doesn’t fail in a couple of years. Breakdown of how much you could be making as a hair dresser. This will be in two parts; those who started with a small space in front of their houses and those who started with a rent space. So, in a day you would be making a total of approximately N5000, depending on how good you are and how good you are will determine how much you charge. Those with a rented space: for these people, the business is started with much more capital than those that use the front of their houses. Chairs, sofas, mirrors, fans, generator and a lot of standard equipment would need to be purchased and this would require much capital between 100-150 thousand naira, excluding rent. It seems like a lot of money, yea, but when you consider how much you could be making daily, you’d realize it’s worth spending the capital on. So at the end of the day, you’d be making as much as over N10000 and if you add that up, you’d be happy with what you’d be making at the end of the month. And then when you expand and start having apprentices, you can be making double or triple that amount, depending on how many apprentices you have. Acquire the necessary skills required: This is actually for people that intend to work on the hair themselves and not necessarily those who seek to employ workers while they oversee the running of the salon. Even though you do not have to have a degree to start a hair dressing, it is very vital to spend a few months to a year (depending on how fast a learner you are). This is to help you learn different hairdos such as fixing of weavons, braiding of hair, Ghana weaving, retouching and washing and a whole range of other hairstyles. This is for the women hairdos and for the men cuts, you also have to learn how to cut different hair styles such as punk, gallas, afro, stone cold etc. do not go into the business without being properly trained as no customer will come back to your shop if he or she isn’t comfortable with your work. Learning hair dressing or barbing doesn’t cost that much and so there is no excuse for not learning. Write a business plan: This is necessary as this gives you a clearer view of what you are about to venture into. It will show you how much capital you need to start, man power needed etc. Start saving up for it: After writing your business plan and seeing how much would be needed to start the business, the next thing to do is to start getting the capital for it. This can be done even while you are still undergoing training. You don’t have to wait till you are done with the training to start running around for money. you can start during daily contributions, seeking loans from lending institutions, friends and families etc. please bear in mind that you do not necessarily have to break the bank to start a hair salon. You can actually start small; maybe in a small corner in front of your house and from the works of your hand which you must have acquired during the training, you can now graduate into getting your own shop. Location: This is for those that have enough startup capital to rent a shop space or those that have made enough money from doing the business in a small corner in their compound. For your hair salon to excel in a country like Nigeria, the location you site your shop space is very important. You would need to take enough time to get a suitable location. The location has to be easily accessible. If you go and get a space in a corner or in a hidden location, you may not succeed. Decorations and neatness: This is for when you’ve successfully opened your salon. if you want people to come to your shop and keep coming back, you should ensure a high level of cleanliness, both personal and environmental, your equipment should be neatly arranged, and modern equipment should be used in preference to ‘old school’ equipment. Germicides, anti-dandruff shampoos, after shave etc should also be readily available. Personal character: A hair stylist should be of very good behavior when attending to his or her customers as a bad behavior will only chase away your customers and give your business a bad name. You should learn to live the saying ‘the customer is always right. Create awareness: You need to make sure you find a way to advertise your business, either by making signboards or by words of mouth; you have to make people aware of your business. You can also ask friends and families to inform their friends. Another means of creating is by the work of your hands. If your work is really good, it would advertise for you as people seeing such nice hairdo would want to inquire about where it was made and also get theirs made there. Electronic grooming equipment: trimming scissors, curling iron, hair straightener, curling comb hair dryer. It is important to note that you do not necessary need to limit your shop space to only be used as a hair salon, other forms of businesses can be run concurrently thereby maximizing profits. Pedicure and manicure: a cosmetic beauty treatment for the finger nails and hands when it relates to manicure and called pedicure when these same treatments are carried out on the toes. This includes filing and shaping of the nails, pushing and clipping of any non-living tissue on the cuticles, treatments, massage of hand, nail polish application etc. You can also buy a deep freezer and sell items like soft drinks, pure water, snacks etc, that most customers are likely to buy. You can also display wears, cosmetics, shoes, bags etc. In conclusion, you shouldn’t forget that Rome wasn’t built in a day and you will face challenges, it is important not to give up until you’ve tried everything possible to make it work. Most successful businesses today didn’t get to the level they are without facing one obstacle or the other. Thanks so much it really helps.